Chris Kridler will be at theMeet the Authors Book Fair Nov. 23-24 at Eau Gallie Civic Center, signing "Funnel Vision" and "Tornado Pinball," the first two storm-chasing adventures in the Storm Seekers Series. 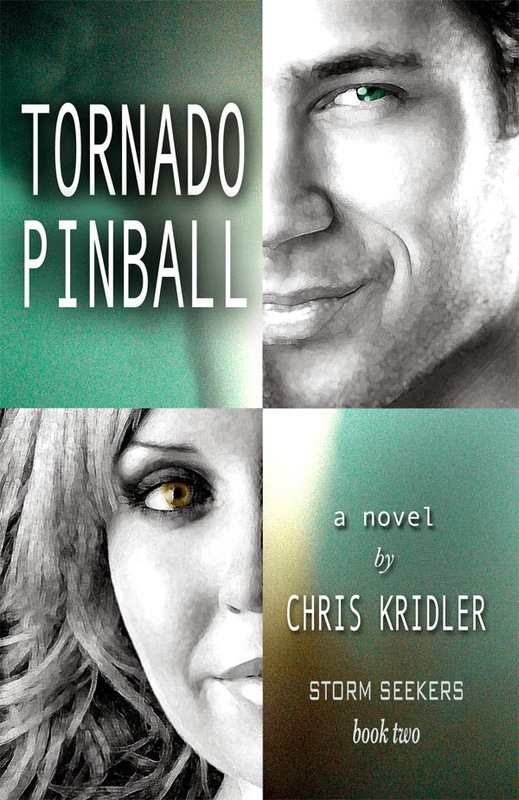 "Tornado Pinball" was published this year and centers around the ultimate storm-chasing stunt, as a TV crew tries to launch a human tornado probe. As the reluctant consultant, expert storm chaser Jack Andreas must get the show’s nervous star, failed tour operator Brad Treat, into a twister. But Jack is losing his customary cool as a comedy of errors unfolds. Distracting him is co-star Saffire, a Hollywood actress who is more than she seems, and producer Wynda, who will do anything to make her documentary succeed. The daring star of another show pursues them, desperate for a shot with his own flying machine. As the disasters mount, will Jack be able to launch their device into a tornado? The novel is available at various online retailers; see http://chriskridler.com/books for information. On Nov. 10, Kridler will sign books at a party marking the launch of a new storm photography exhibit. The party is 2-5 p.m. at Rocket City Retro Mid-Century Modern Furniture & Design, 331 King St., in Cocoa Village. The free event will feature wine, hors d’oeuvres and storm videos in addition to Kridler's dramatic photography of tornadoes, lightning and severe weather, displayed amid Rocket City Retro's stylish furnishings and gifts from the 1950s to the 1970s. Also catch Kridler's storm photography Dec. 2-31 at the Cocoa Beach Library, 550 N. Brevard Ave. In a free library talk on Dec. 4 at 6:30 p.m., she will discuss what it takes to shoot great storm and lightning photos, drawing on 17 years of experience chasing storms in Tornado Alley and Florida. She will also sign books. Chris Kridler is an award-winning writer, photographer and storm chaser who documents storms at SkyDiary.com and whose books, video and photos are featured at ChrisKridler.com. As a journalist, she’s covered topics from space to lifestyles and was a longtime columnist for Florida Today. Her photographs have appeared in several magazines and books, and she’s been featured in Popular Photography.